I have added a page that contains images, graphics, and artwork that I have done for numerous different projects. Feel free to contact me if you would like me to do some work for you. 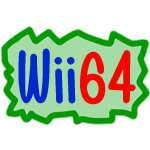 In the past I have done Wii homebrew icons, Wii exploit (save) icons, artwork for specific Wii (or other) homebrew apps and games, and YouTube channel backgrounds. Tell me what you think! I haven't been on here in a while.. Not that anyone really cares.. But anyway, I'll be thinking of something new to put up soon.